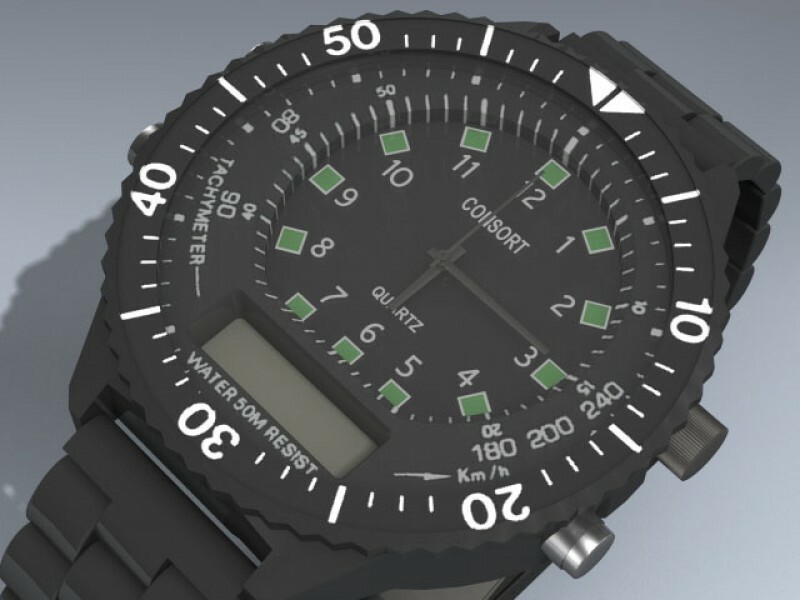 Very detailed military style men's wristwatch. 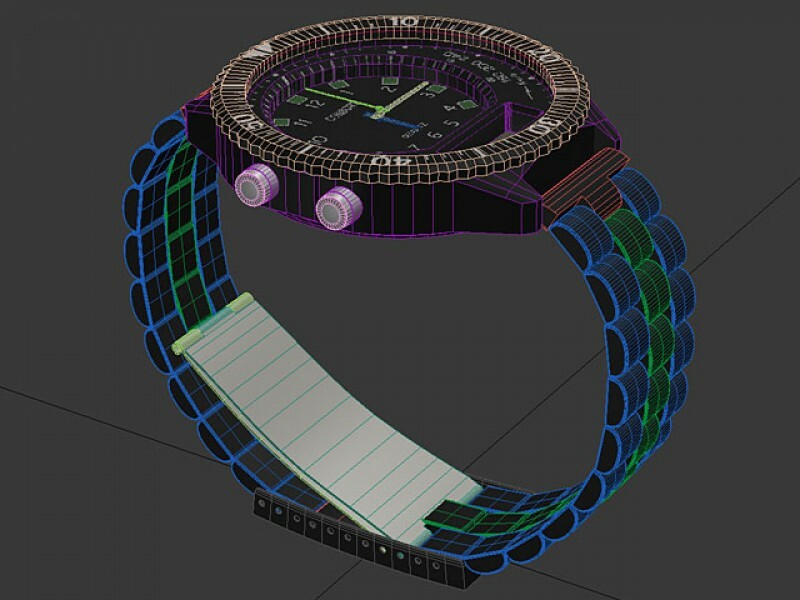 The flexible band was created using separate objects for easy animation. 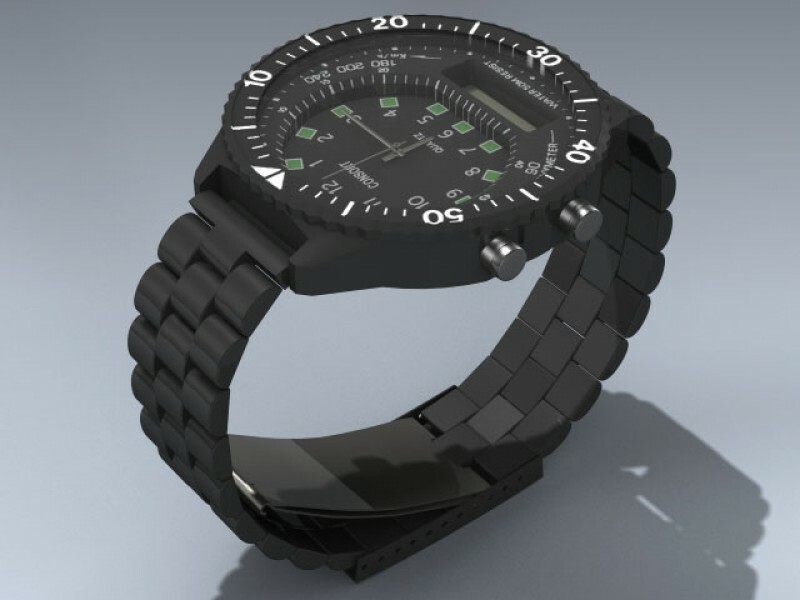 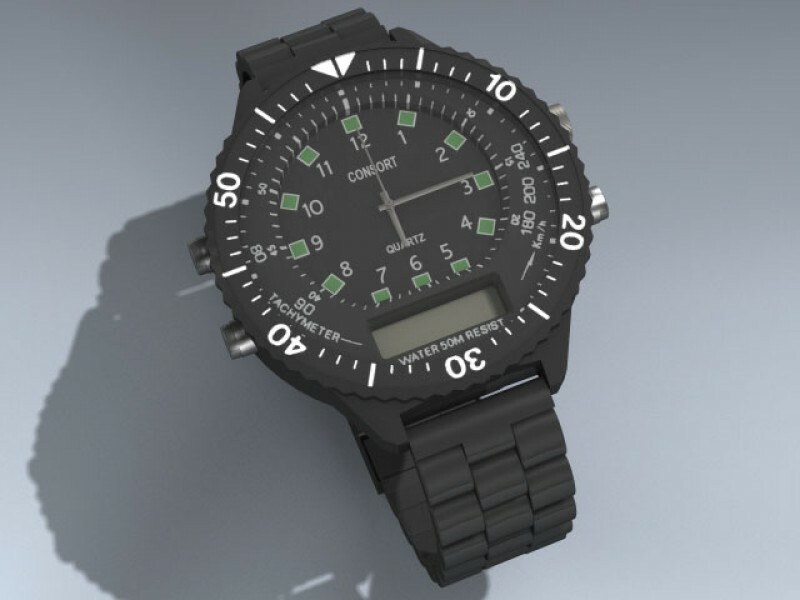 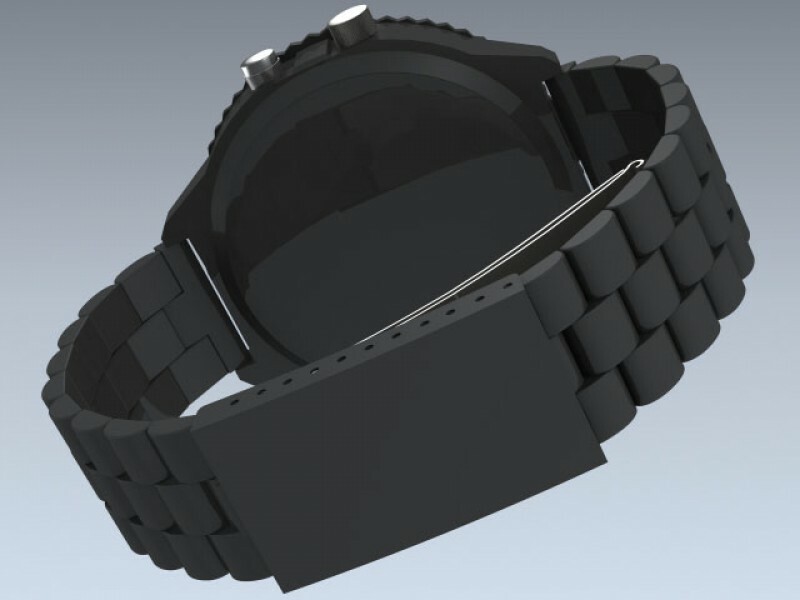 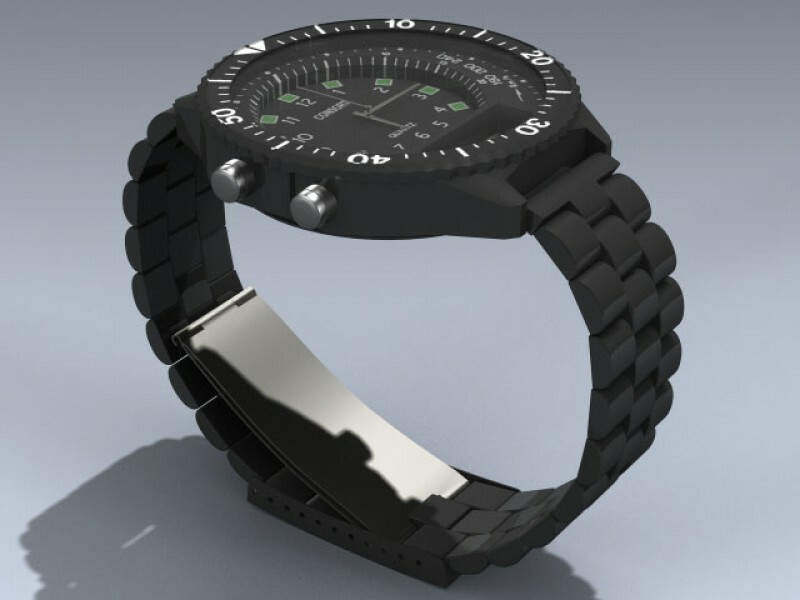 The model also features separate analog hands and wristband clasp objects.